London is a city that offers you excitement, adventure and warmth (well, warmth in the summer time, at least). It is a place that brims with culture and history - here you will find World class museums, art galleries and historical buildings. It is also a deeply multicultural city - for generations people have come from all over the world to settle here, creating a diverse and unique atmosphere. 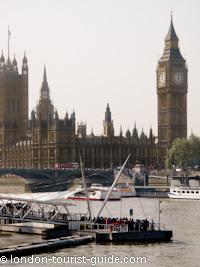 One of the greatest things about London is the sheer variety of experience that it offers you. Where else in the world will you find sushi at 03:00 in the morning; vintage style 'prohibition parties' in a town hall; eight storey modern art museums and early morning flower markets all in one place? If you are in search of peace and tranquillity, the city's many parks, gardens and riversides offer an air of calm. If its glamour you're after, you'll find designer shops, forward thinking restaurants and fashionable cocktail bars. For a sense of true traditional British-ness, the regal castles, friendly pubs and quaint tea rooms will tick all of the boxes. There's something to love in London every hour of the day. Maybe you'll fall for the early morning calm before the craziness begins. Perhaps the lunchtime rush of ant-like men in suits will make you laugh. Watching the sun set from the iconic Tower Bridge may be the memory that stays with you forever. Or perhaps you'll want to come back to see more of those crazy and eclectic night owls who take to the streets after dark. Whatever special memories that stay in your mind after your visit to London, you may find, like many other visitors, a yearning desire to return to experience more. The quickest way to find the information you need is to type in a few keywords into the search box at the top of every page on our website. This will enable you to quickly find all the pages that match your search keywords. We have many hundreds of pages of information on this website and this is the no.1 quickest way for you to find what you need. If you are still a little scared of using search boxes you can look through the 'navigation bar' that sits down the left hand side of this page. You will see that the pages have been split into a variety of categories. 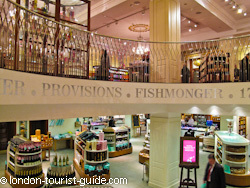 You can either decide on which area you would like to head to (for example, Westminster or Covent Garden) and find out about all of the various attractions (shops, bars, restaurants and tourist attractions) in that area. 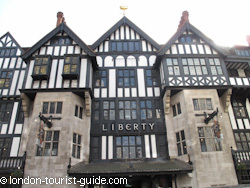 Alternatively, if you would like to search for particular attractions across the city (for example, activities, bars or restaurants), you can check these to find out what is available throughout the whole of London. But remember our left hand menu does not have links to all our pages and you could well miss what you are searching for by using the menu navigation alone. If you check at the bottom of each individual page you will see a section called 'Related Pages'. It is worth checking the listings at the bottom of each of the pages to see whether any of the other pages listed are useful for you. If you head to a page that is full of information, it might be that you only need one specific fact from the page. For example, from the page on the London Aquarium you may only need to find out the opening times of the attraction. At the top of the page you will find a feature called 'Quick Links' - simply click on the link that relates to the bit of information you are looking for and you will be taken straight to that part of the page. 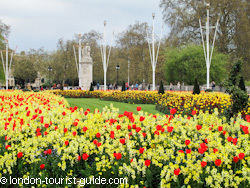 We hope that you enjoy using our our site and that you have a really wonderful trip to London. 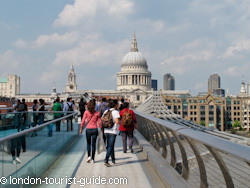 London-tourist-guide.com is a privately owned website and has no connection with any civic organization.